Last Call for Fossils. Fossils, where are you at? Apparently the fossil record is in danger of not showing up for court and being held in contempt. It’s about time. Sorry for the bad humor…. 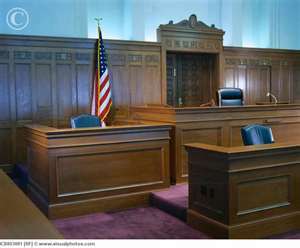 The next witness to take the stand is the fossil record. The fossil record is most likely the most over used evidence for Evolution today. We will take a closer look at the fossil record and see why it does not make a good witness/evidence for evolution either. I will address the fossil record in 2 parts, ape-men fossils, and the rest of the animal fossils, specifically transitional fossils. First, lets examine the transitional fossils and define what a transitional fossil is. A transition fossil is a has characteristics that are intermediate in nature to organisms that existed both prior to it and after it. 1 There is some debate as to what is a transitional fossil and what is not. 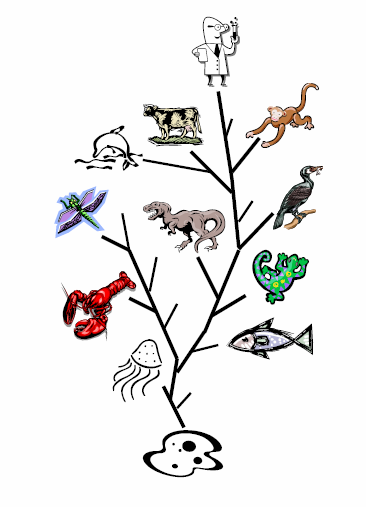 Supporters of Evolution say that every fossil is a transitional fossil in some capacity. Several months ago someone tried to explain the fossil record to me as a blank line, that was continuous. The gaps or parts missing where just not found in the fossil record. As some one who is skeptical of evolution, I am looking for more in the fossil record that tightly connects fossils between different genus species, which is what the claims of Evolution make. In other words, more of the evidence that macro-evolution is valid. So at one point I would say that yes, there are transitional fossils that show a change from one type of prehistoric turtle to another turtle or one type of prehistoric horse to a more modern style horse. In Darwin’s theory of Evolution he acknowledge himself that in order for his own theory to be proven it would have to be found true in the fossil record. 2 These types of fossils he was hoping to find have yet to be found. You may have seen pictures of the famous tree of life drawings that Darwin and evolution supporters have used to explain. The simplified drawing in my blog comes from a book by Chris Sherrod. 3 It is meant to serve as a simple example of the tree of life, other drawings are often more complicated. I have repeatedly asked people to give me examples of transitional fossils between species and I get 2 responses typically. First, there are none, because fossils are hard to come by and the transitional ones have been destroyed due to fossils becoming fuel for us greedy humans to use up as energy. Secondly often bad examples start popping up. I’ve been told to look at Wikipedia, I’ve been told look at videos on YouTube that people have created with a type of “flip book” effect, and I’ve been shown pictures of prehistoric animals that could pass for a modern-day type of animal. Here is why I call these bad examples. The list on Wikipedia is there, and it is long, BUT, most of the pictures of transitional fossils are drawings, artist interpretations, not even based on real fossils found. There are a few small bones, that are from incomplete remains, but most are drawings. The YouTube video that is highly pushed also falls under the same boat. They are drawings. The pictures of actual fossils found I can easily take a few seconds on each one and call it a member of one of the species that we have today. 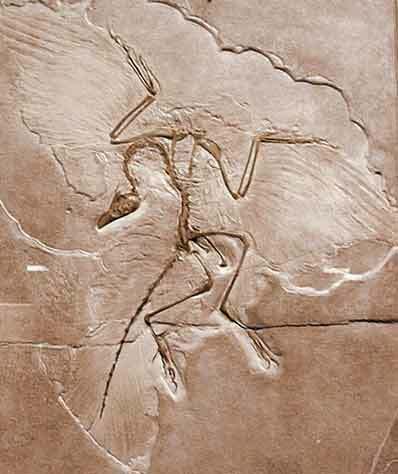 E very once in a while someone will bring up the Archaeopteryx, which was discovered 2 years after Darwin wrote The Origin of Species. You can see from the picture that it is a very interesting fossil for more than one reason. It is complete and in good condition and appears to be a combination of a reptile and a bird. Evolutionist said this was a true transitional fossil and crowned it as evidence. But since it was found in 1861 a majority of scientists believe now that it is most likely a strange type of bird for the following reasons. 1. It was not really a good transitional fossil, because of the fully formed wings and fully formed tail it looks more like a creature that would stand as a different animal, not one in transition. It’s wings, tail, and claws suggest it was a type of bird possible related to the liaoningornis, recently discovered. 1. There are no transitional fossils found that support this theory. It would be absurd to think that the organisms would change over night. Going back through the layers of rock there is an interesting discovery between the pre-Cambrian ad Cambrian time periods. In the pre-Cambrian rock there are few fossils and most of the fossils are invertebrates, but at the dating of the Cambrian rock there seems to be a this enormous amount of fossils of many different kinds and types. This time has been called the Cambrian explosion, because it appears that these fossils came out from nowhere. Each side of the argument between creationists and Evolution supporters have their own ideas about why this is so. I will look at the ape-men fossils in the next post, I don’t want to get to long-winded with this post. If you have any questions, comments, rebuttals please feel free to leave them. This entry was posted on Wednesday, April 4th, 2012 at 11:25 pm and is filed under evolution. You can follow any responses to this entry through the RSS 2.0 feed. You can leave a response, or trackback from your own site. I think the fossil record is the most damning bit of evidence against evolution. Scientists have repeatedly admitted they don’t have a clue what they’re talking about. They’ve identified fossils as individual species only to decide later it was just a baby of a pre-existing species. They’ve even made repeated mistakes in dating material (rather critical in my opinion.) Their errors and colorful guesswork are the foundations of evolution and geologic history. It’s this same sort of pseudo-science of searching for proof to “pop-science” that currently “proves” global warming. Uhhh… what? Did I miss my appointment with the labotomist everyone else seems to have gotten?